I had never yarnstormed in a group before but last Tuesday night I did. 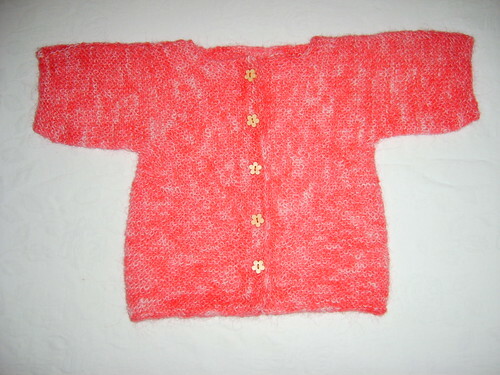 There is a group of sneaky stitchers called Reykjavík Underground Yarnstormers and I’m one of them. 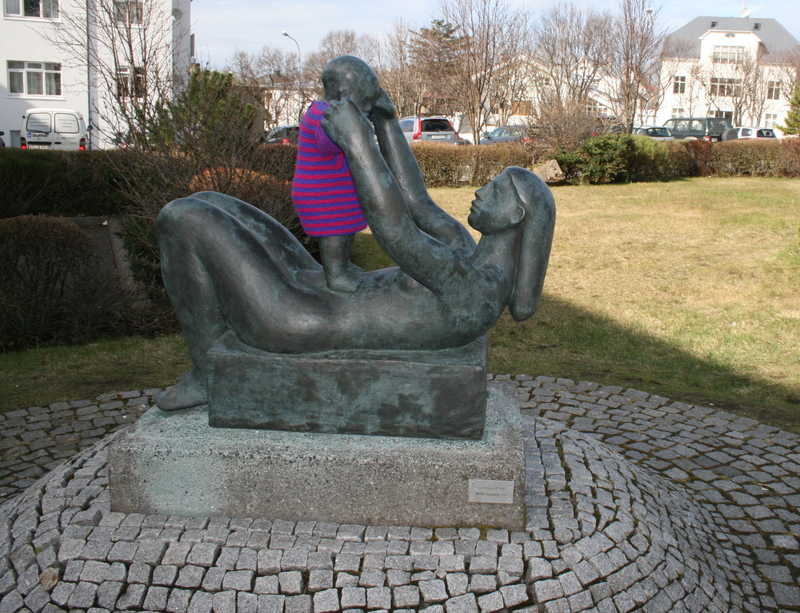 We went out on the town and dressed some of Reykjavík’s statues. The statue I chose was very personal for me. It’s outside the maternity ward at the National Hospital and called Mother and child. There was just something so right about being 6+ months pregnant, dressing up a statue of a child in the famous Baby Surprise Jacket by Elizabeth Zimmermann outside the place you’re going to give birth this summer. 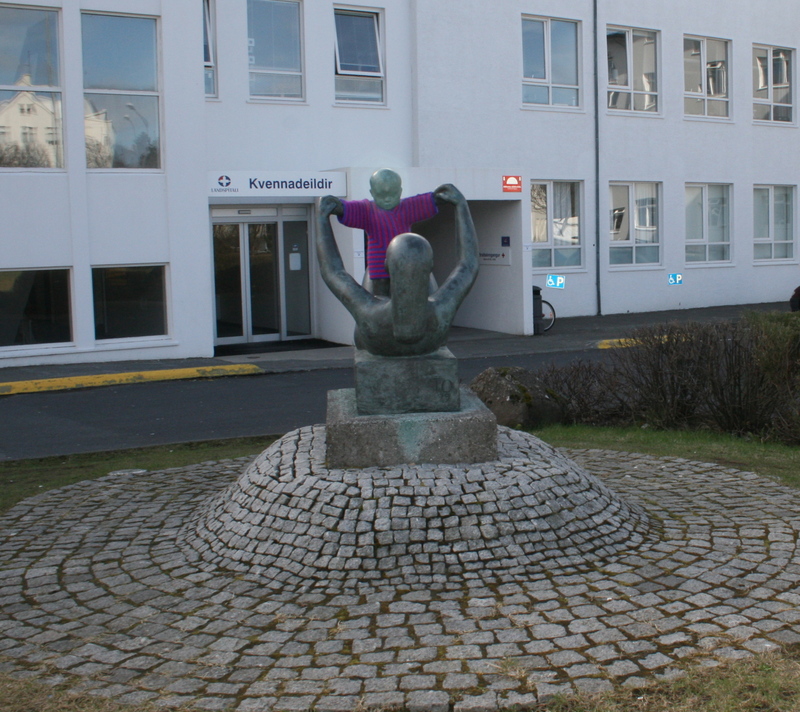 The statue is called Mother and child and was made by Tove Ólafsson in 1979. 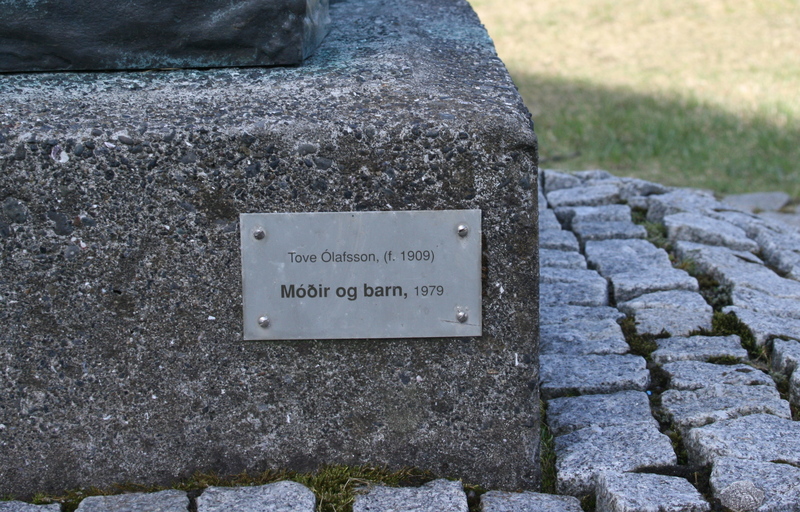 Tove was born in 1909. 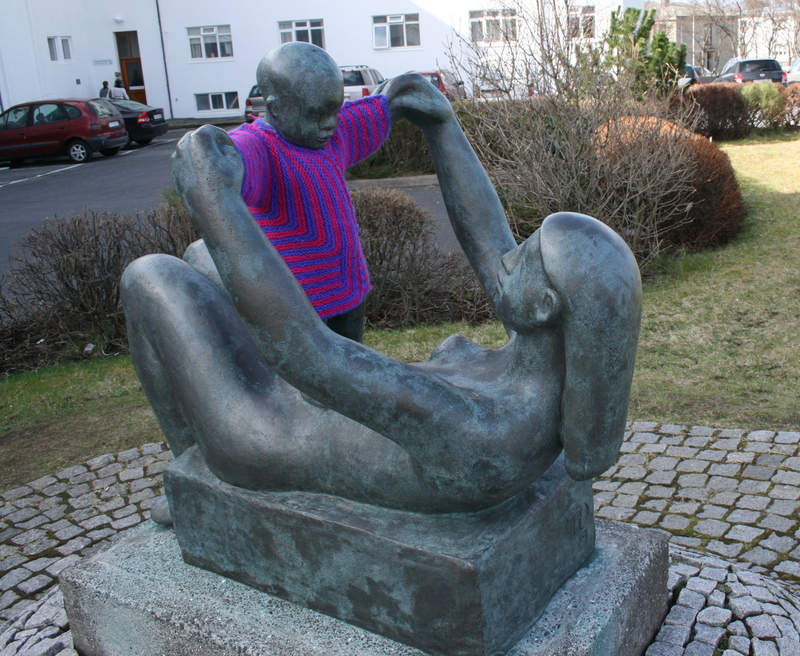 Outside the maternity ward at the National Hospital in Reykjavík. is a perfect match for the little baby. 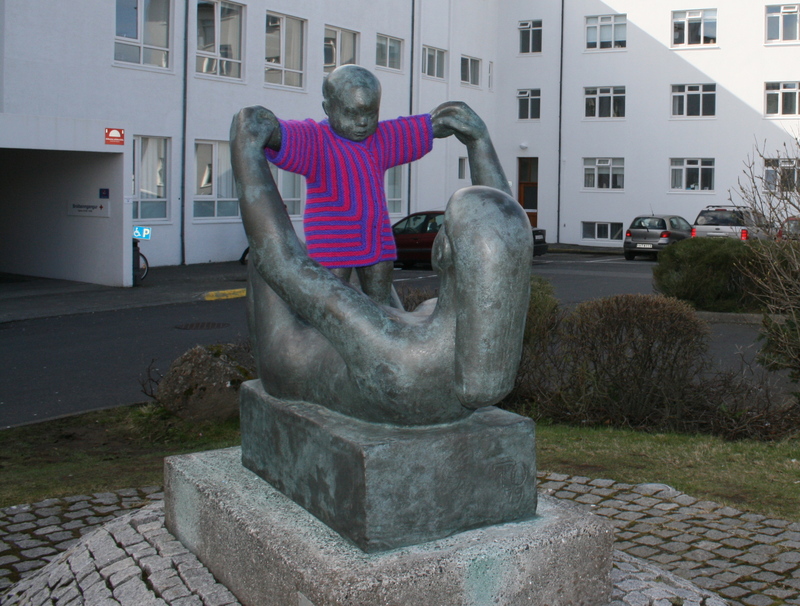 Posted in yarn graffiti and tagged baby surprise jacket, reykjavik, yarn graffiti, yarnstorm. Bookmark the permalink.